You choose your own heroine by replacing Elizabeth Bennet with a name of your choice and follow her story of heartache and love for the wealthy Mr Darcy. 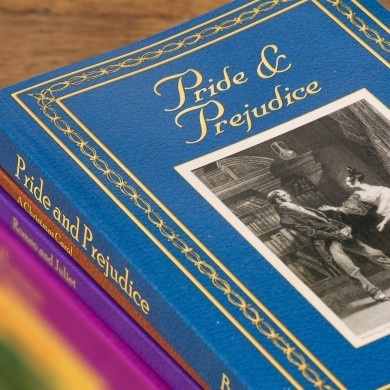 Choose to leave his name as Mr Darcy, or add a name of your choice to the proud character that can't help but fall in love with the headstrong Elizabeth. 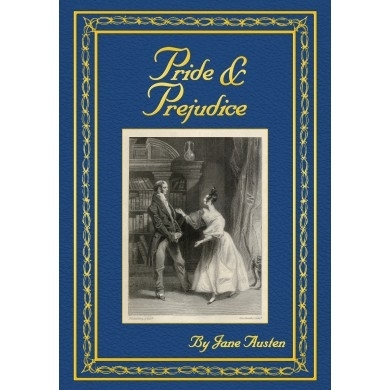 Other names that can be customised include: Jane Bennet, the older and prettier sister of our heroine who has her own tale of forbidden love; Charles Bingley, Darcy's best friend, falls in love with Jane but is easily influenced by the pride of his snobbish sister; Lydia Bennet, the youngest Bennet sister, who's impulsive ways bring shame on the family; and George Wickham, a cad and former acquaintance of Darcy's, who leads Lydia astray.